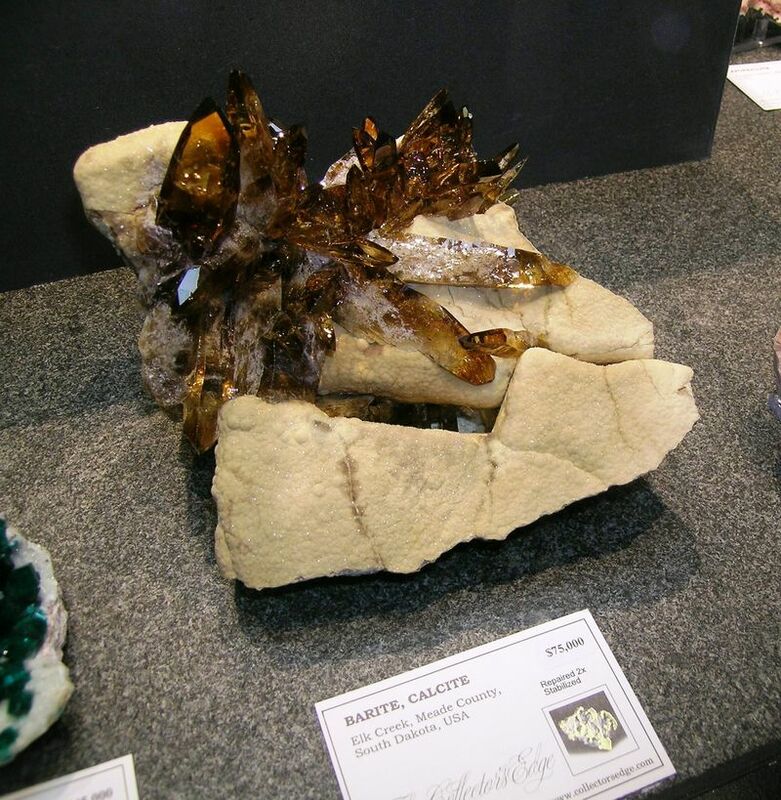 FMF - Friends of Minerals Forum, discussion and message board :: View topic - Favourite Barytes? Posted: Apr 10, 2018 10:22 Post subject: Favourite Barytes? Posted: Apr 10, 2018 11:15 Post subject: Re: Favourite Barytes? I've always been fond of the barites from the West Cumbrian (formerly Cumberland) Iron Orefield. 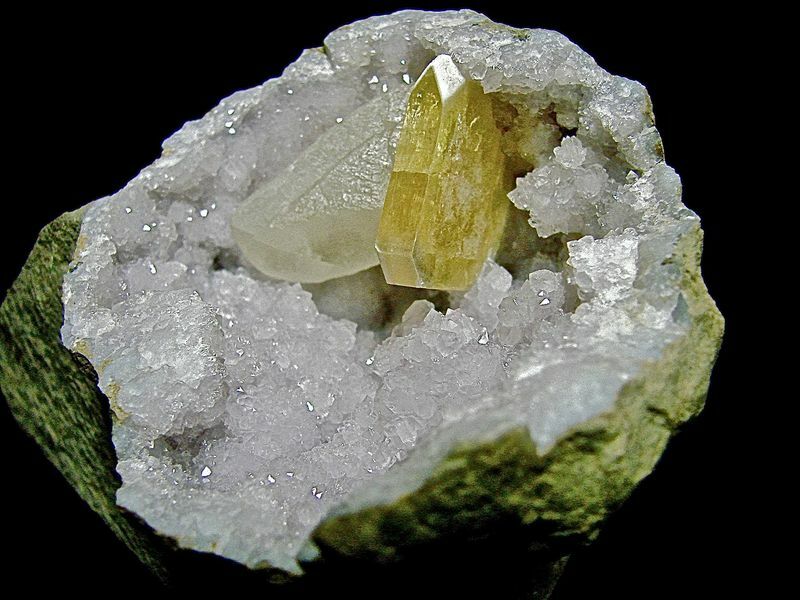 At the height of mining in the area during the latter part of the 19th century, there were dozens of active mines, many of which produced specimens of barite, calcite, quartz, hematite, and other minerals. 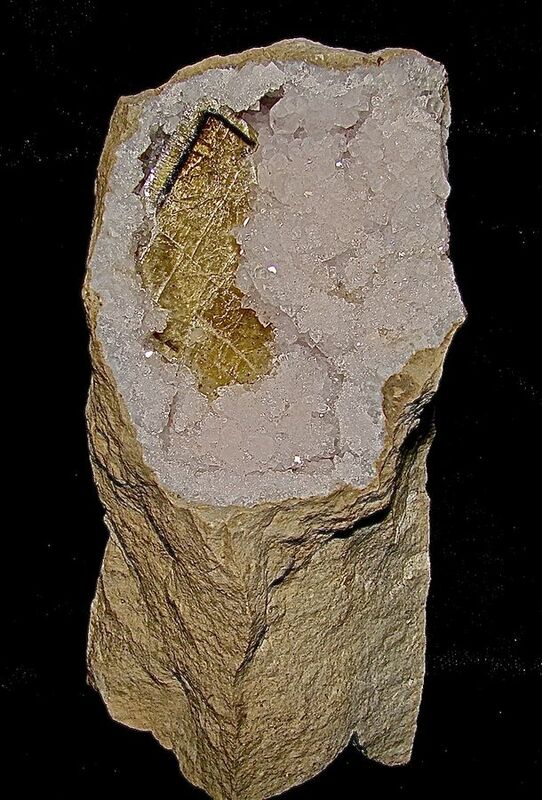 Unfortunately, it is difficult, if not impossible to determine which of the mines a specimen may have come from, so the given location is usually the name of one of the local villages, such as Frizington, Egremont, or Cleator Moor. Posted: Apr 10, 2018 18:21 Post subject: Re: Favourite Barytes? 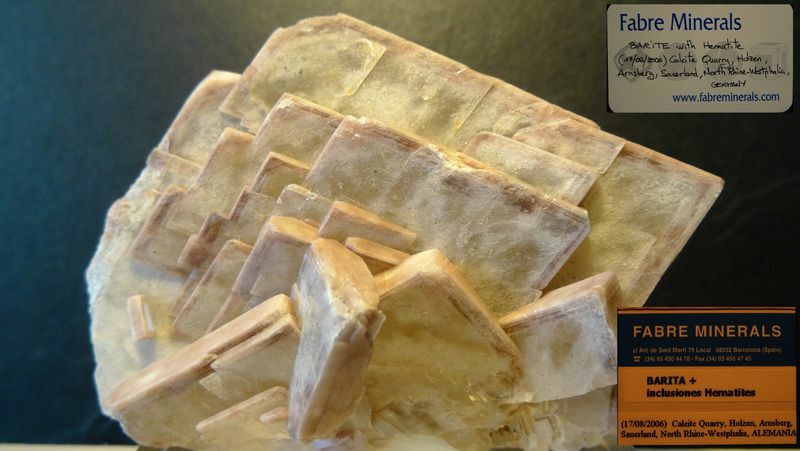 I like combination Baryte specimens. These have not been previously shown. All were self-collected. 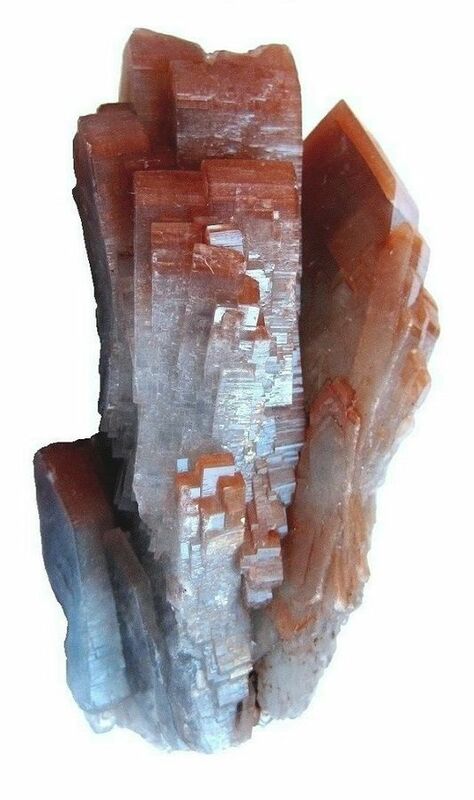 Dimensions: The Baryte grouping is about 4 cm. Posted: Oct 03, 2018 20:04 Post subject: Re: Favourite Barytes? 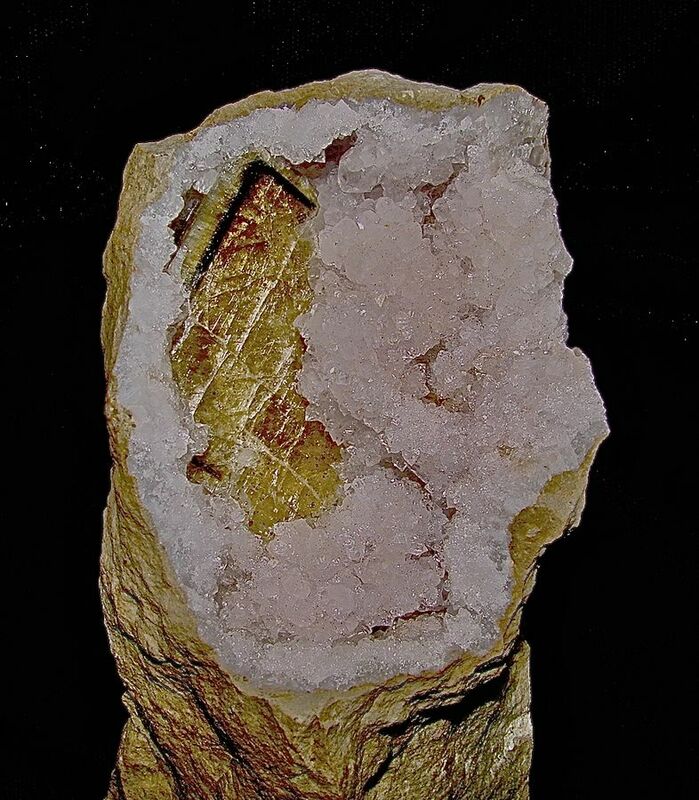 A lustrous strongly color zoned baryte with some internal crazing. 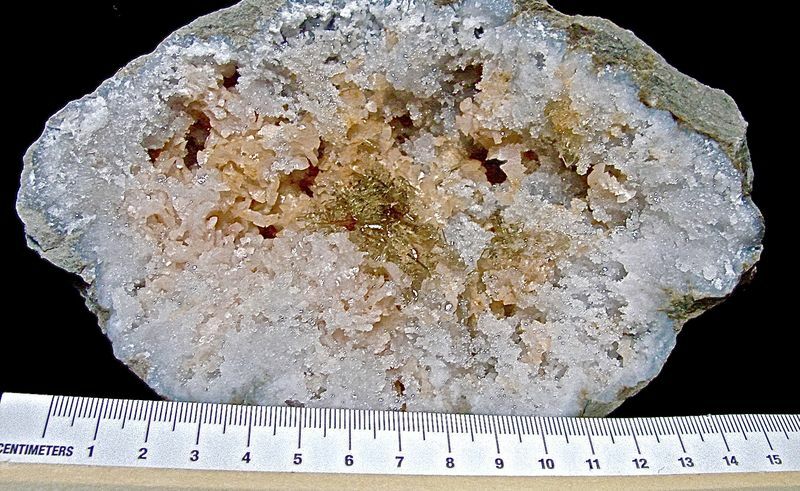 Nicely terminated and lying flat upon the underlying quartz. Under the right lighting the zoned area can be seen as tiny marcasites sparkling in the zone. Self-collected about 10 years ago. The area of zoning is tiny micromarcasites. Posted: Oct 04, 2018 05:49 Post subject: Re: Favourite Barytes? 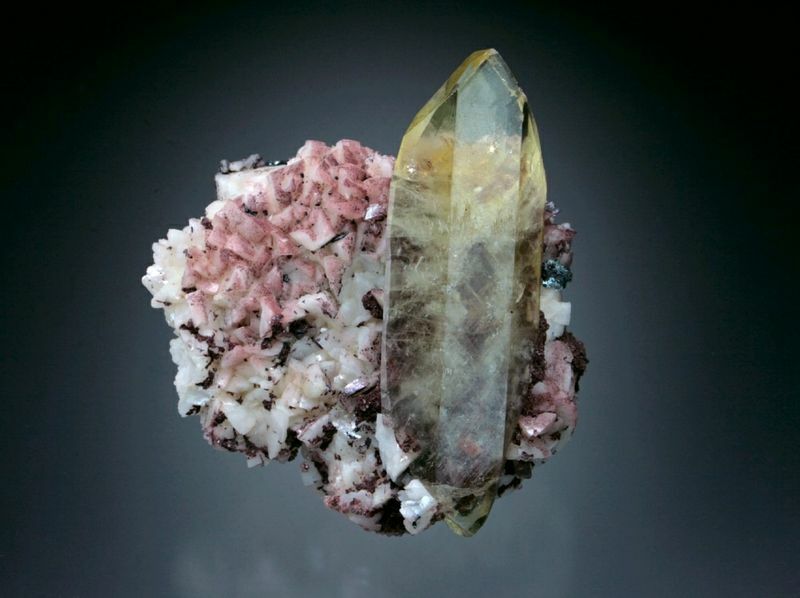 Clear quartz crystals with pink Baryte blades. 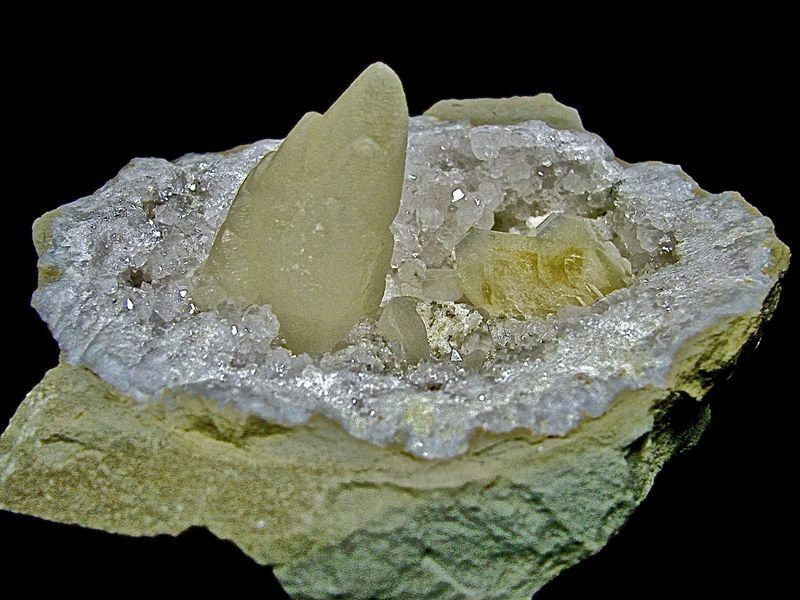 The Baryte is from North America. 170 grams. 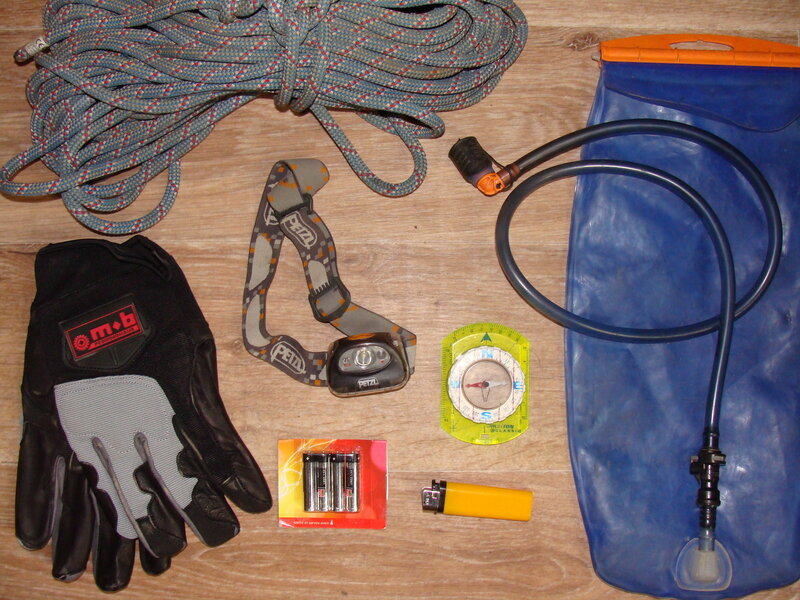 Dimensions: 8.0 cm wide x 4.0 cm x 2.5 cm high. Posted: Nov 26, 2018 10:51 Post subject: Re: Favourite Barytes? 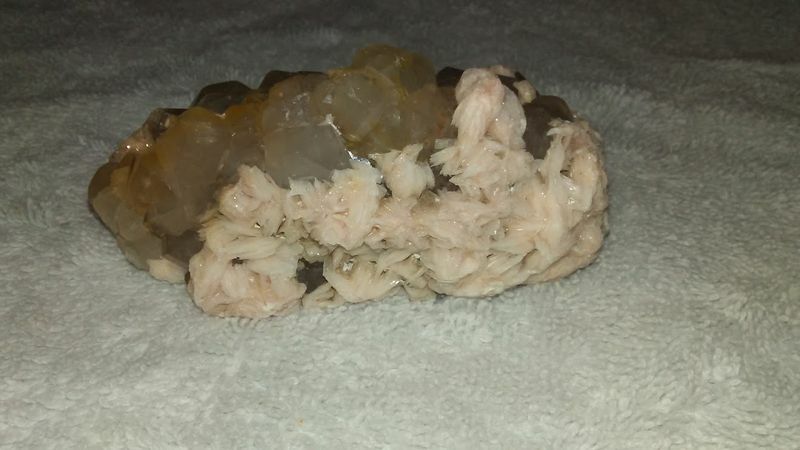 My favorites include finding nice quality doubly terminated barytes. Here are 2 of several that I have. 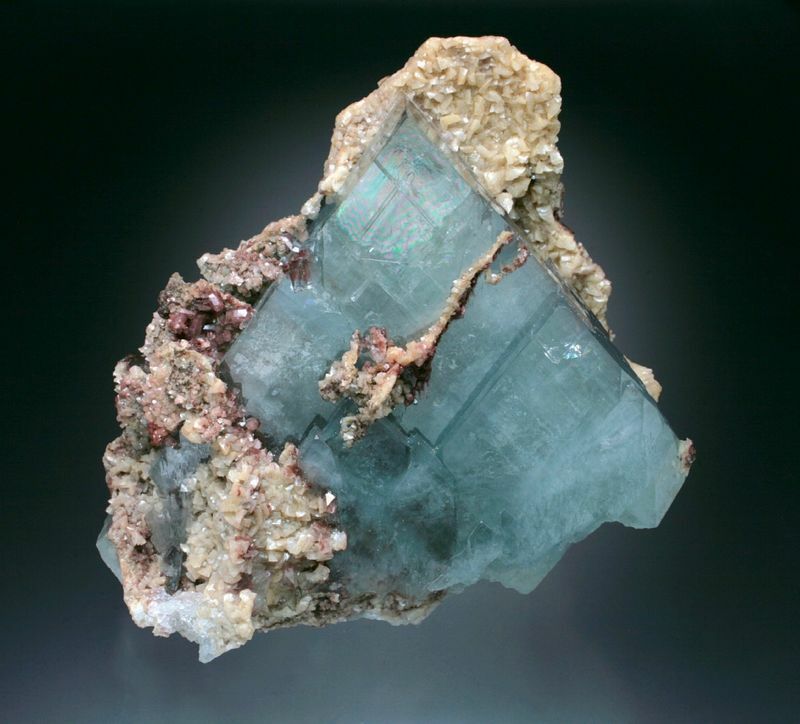 This lustrous doubly terminated crystal contains marcasite or smythite inclusions. Self collected about 10 years ago. Posted: Nov 26, 2018 12:51 Post subject: Re: Favourite Barytes? Posted: Nov 26, 2018 13:02 Post subject: Re: Favourite Barytes? I have 2 specimen, purchased both this year from Belgium collectors/vendor. 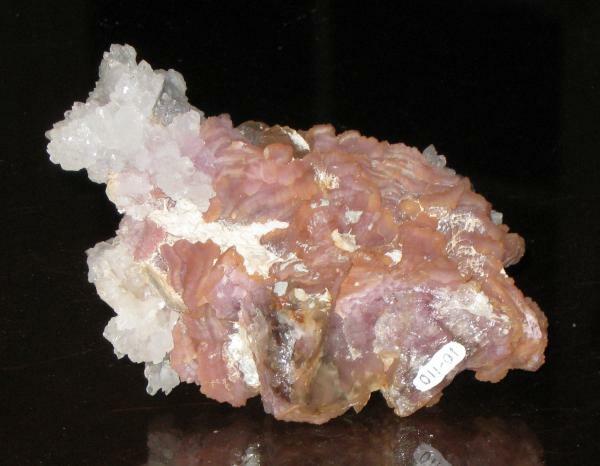 This specimen is about 6 cm long, 5 cm high and 4 cm wide. I purchased it recently (2018) in Liege, Belgium, at the international exhibition. 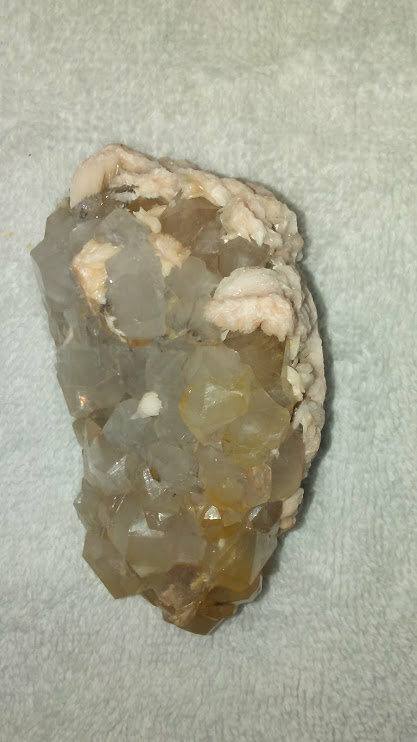 I bought the specimen from a Belgium vendor who said that he lived in Congo and mined a lot of specimen himself. 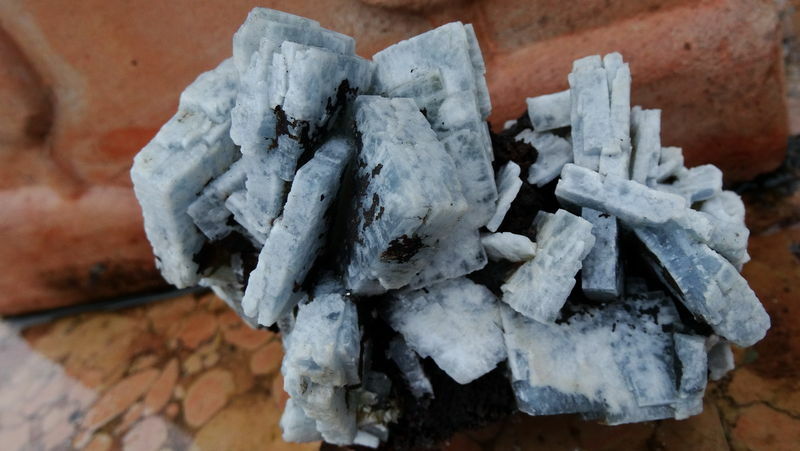 He had about 10 of these barites but I particularly bought this one as it was the only specimen with intrinsic green, transparent barite crystals. 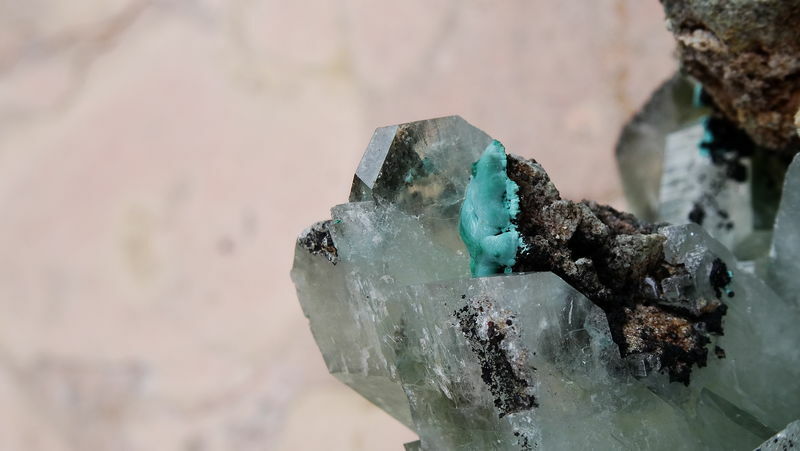 All the other specimen only showed a very slight mint-greenish color. 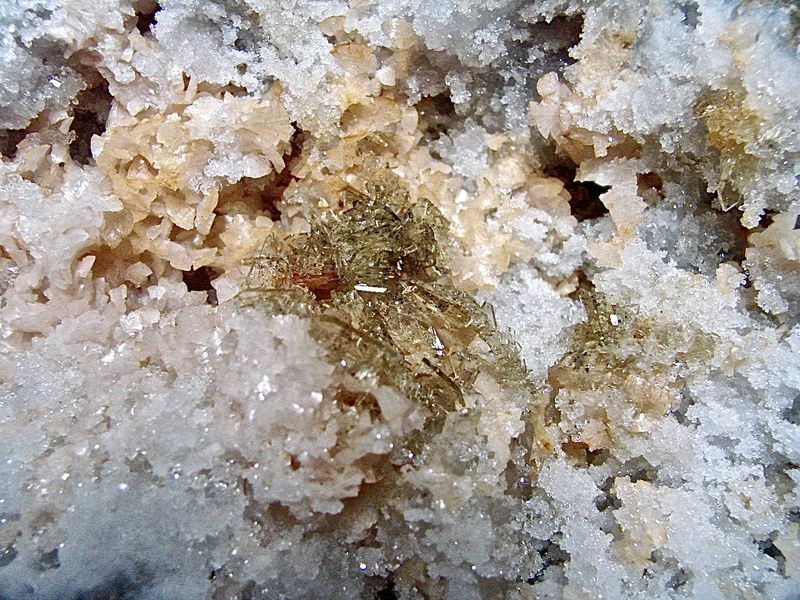 The individual crystals are about 3 cm in size. This specimen is a different specimen than the other 3 photo's which are all 3 from the same specimen. 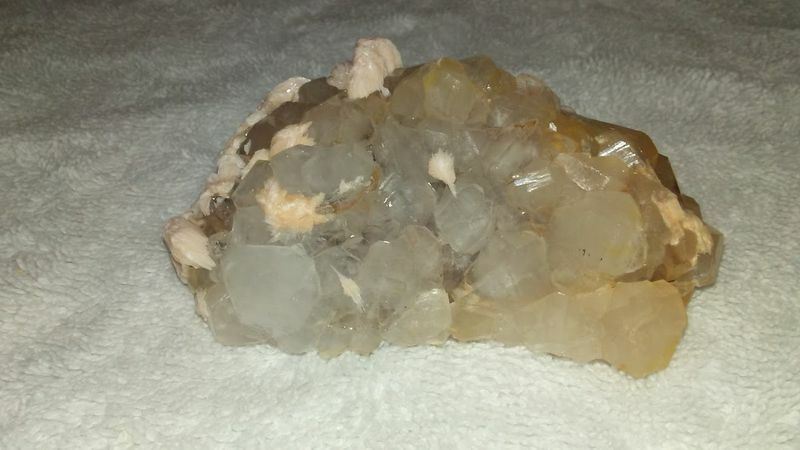 I bought this specimen in 2018 from a Belgium vendor, on an auction. 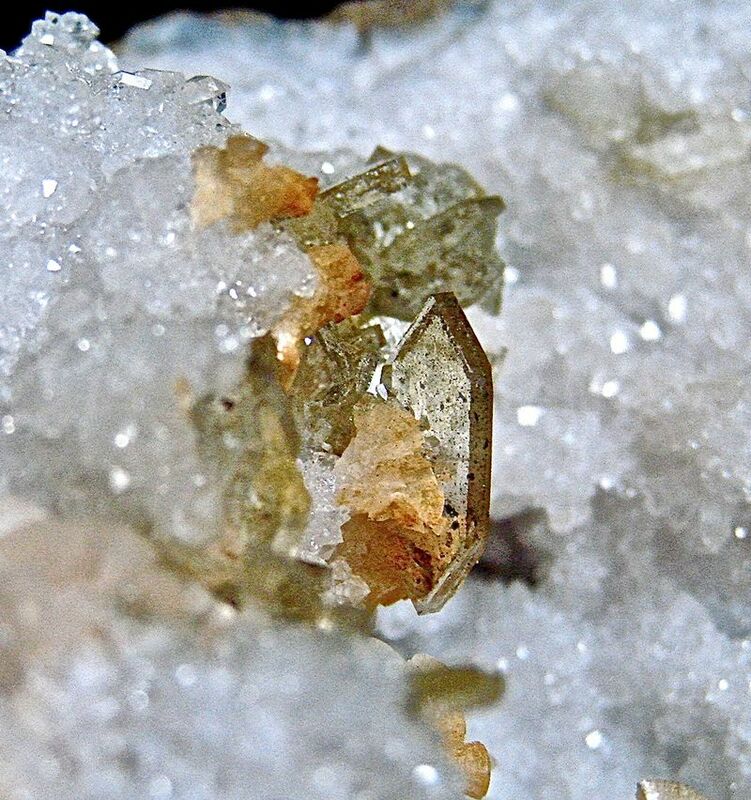 You see a close-up from one of the crystals. 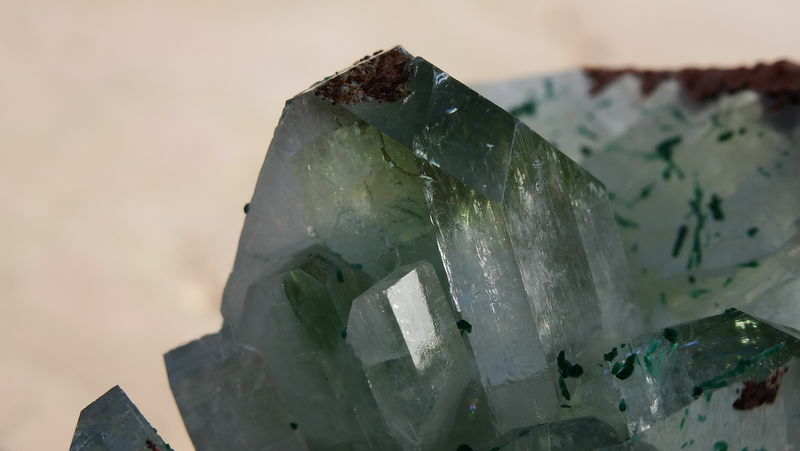 This crystal is about 3.5 cm long, and has a pale mint-green color as can be seen. 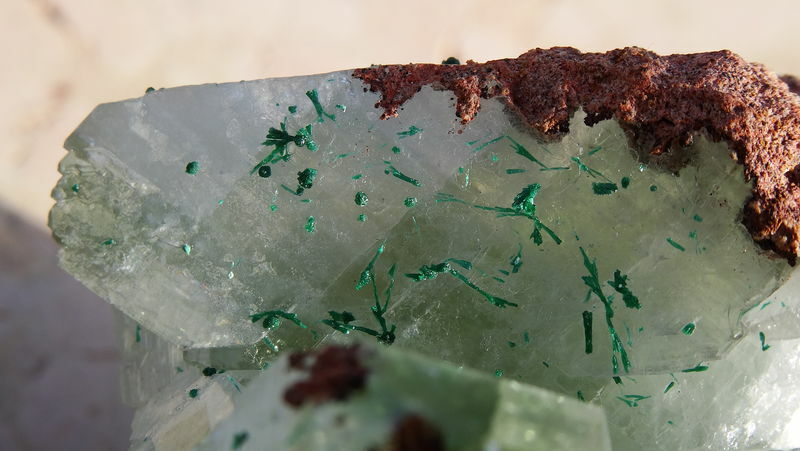 It also contains some Malachite. Photo's 330 M, P and D are all from the same specimen. 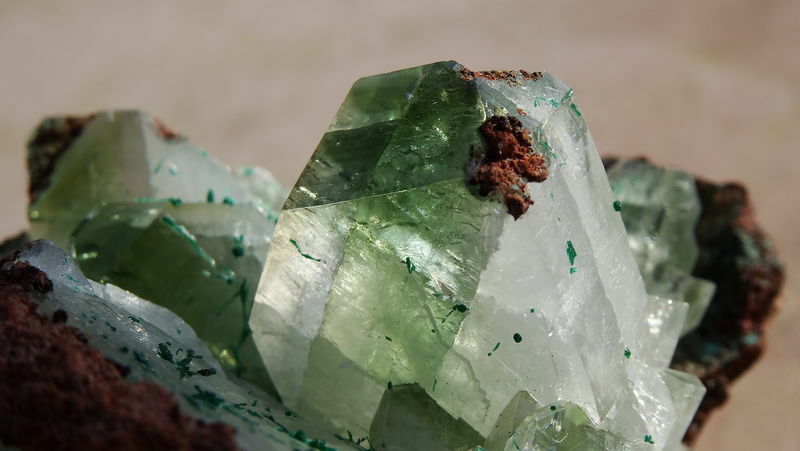 The barite crystals are intrinsic green and transparent due to the presence of nano-size Malachite in these crystals. The field of view of this photo is 4 cm. Posted: Mar 04, 2019 02:36 Post subject: Re: Favourite Barytes? P.S. Mathias, please add the sizes of your specimens. Posted: Mar 05, 2019 18:38 Post subject: Re: Favourite Barytes? Thanks for mentioning it, Tobi! 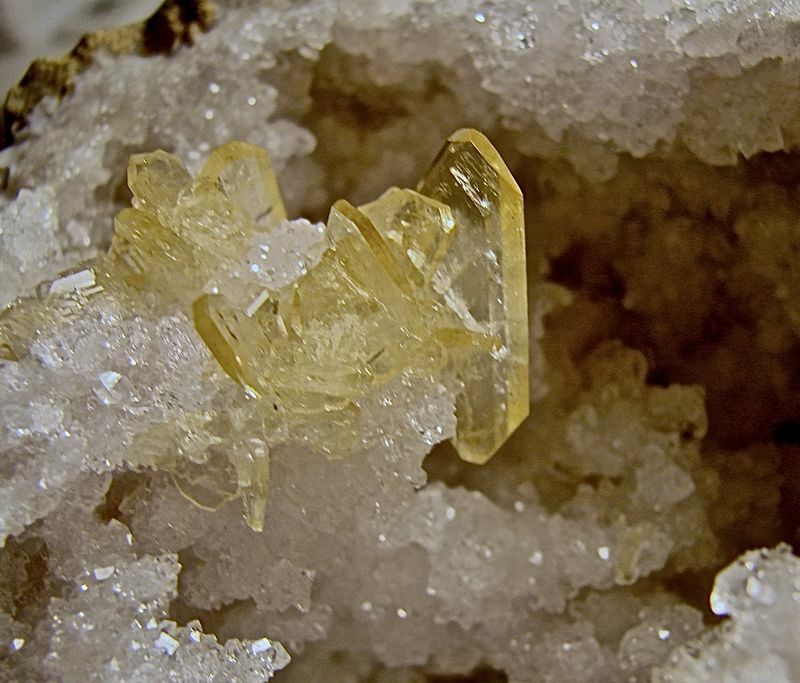 I suspect my collection thread here on the forum already gave it away a bit, but Grube Clara is definitely very high up on my list of favourite localities, a true paradise for any baryte collector. Posted: Mar 06, 2019 02:46 Post subject: Re: Favourite Barytes? 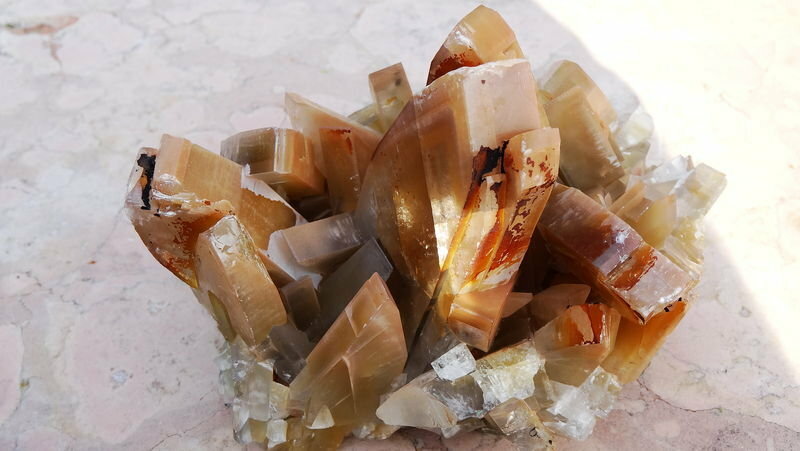 Posted: Mar 06, 2019 10:32 Post subject: Re: Favourite Barytes? My favorites are the Elk Creek, South Dakota barites - and some that have come out recently set a new standard of quality. The association with calcites adds icing. Posted: Mar 06, 2019 16:54 Post subject: Re: Favourite Barytes? Thanks. This looks to be a great place for visiting list on next trip to southern Germany. Posted: Mar 07, 2019 05:24 Post subject: Re: Favourite Barytes? It definitely is, Bob! I see you live far away in Arizona, but IF you take a trip to southwestern Germany you really should visit that museum. 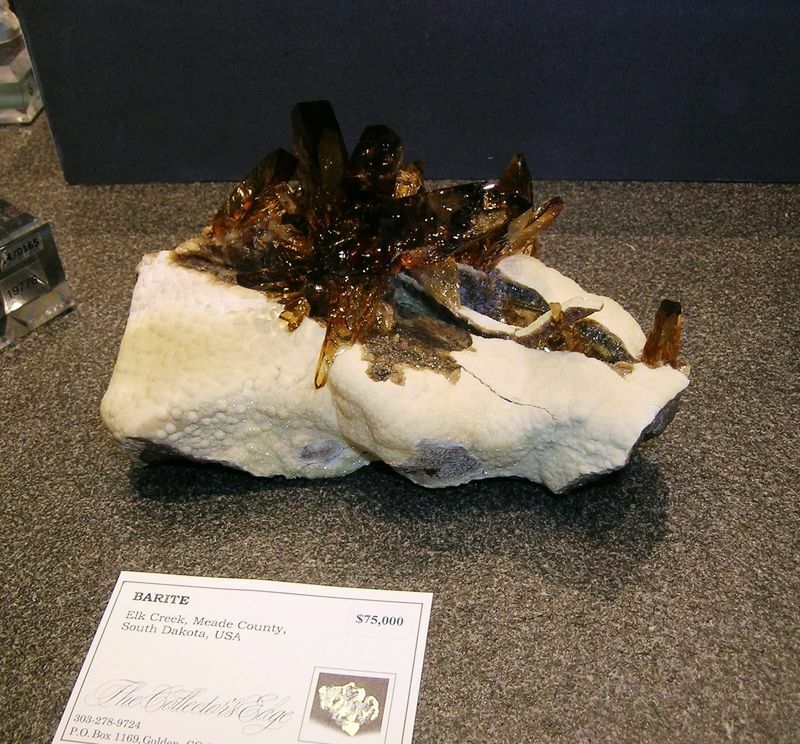 It's not only interesting for those who love the common minerals baryte and fluorite but also for the lovers of the many many rarer minerals that came out of Clara Mine. There are more than 400 (!) 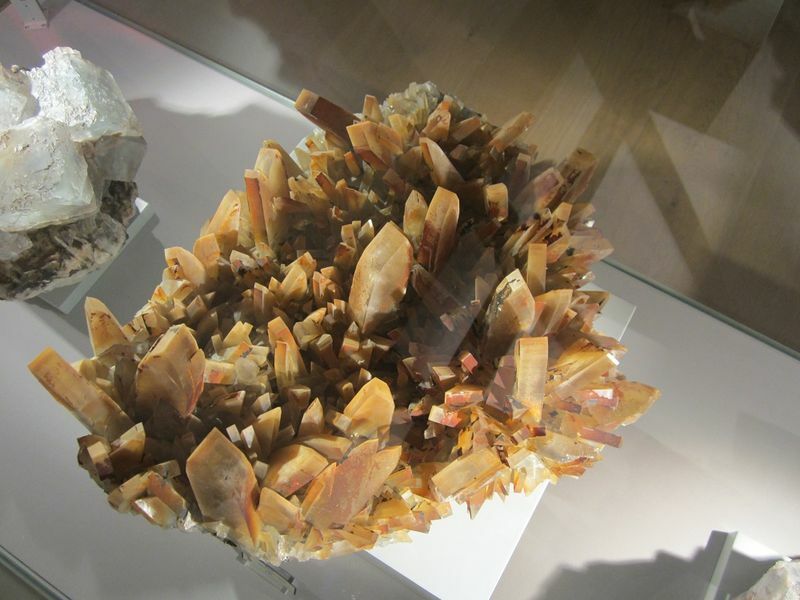 different minerals that occured in this mine (this beats even other famous localities such as Pribram, Tsumeb, Dalnegorsk or Broken Hill, maybe only Mont Saint-Hilaire has more different minerals?) - an amazing locality!